Great leather style with fine-tuned comfort and support, Blundstone's Super 550 Series Boot is a natural choice. The premium leather upper is underpinned by a comfortable, stable polyurethane midsole and removable EVA footbed, cradling your foot. Meanwhile, the signature elastic siding makes for easier dressing and better fit. An extra set of footbeds provides built-in fit adjustment for longer-lasting comfort. XRD® Technology absorbs shock for a more stable step forward. "Are the sizes listed male or female?" 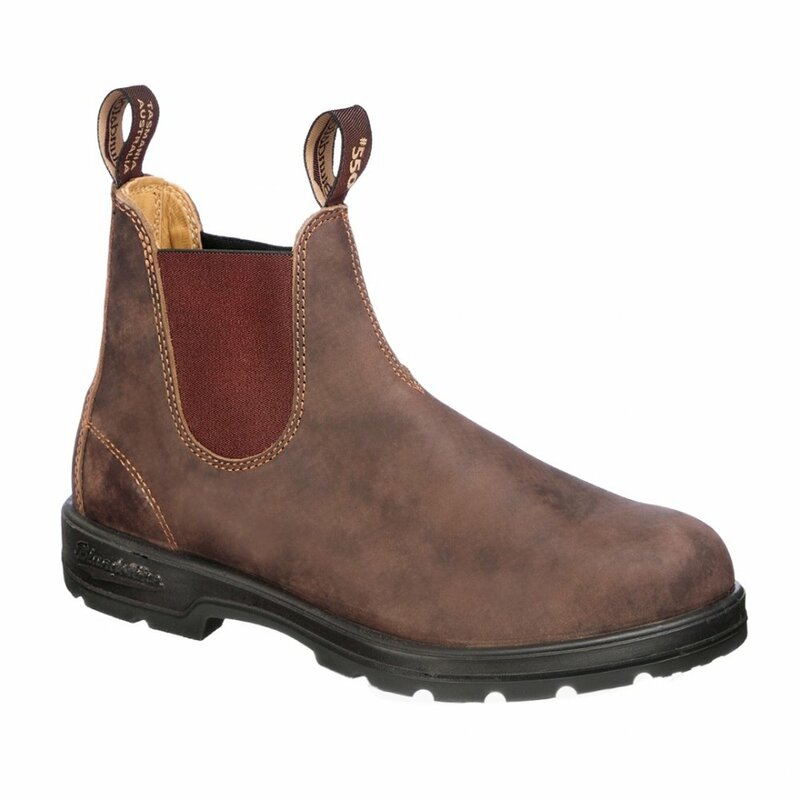 "The Blundstone Super 550 Series is a Mens boot. " "Is the blundstone boot in men’s sizes? " "Yes, the Blundstone Super 550 is listed in Men's sizes."